Written by Phil Whitting on 3rd August 2018 . In early 2012, a friend suggested that I investigate the possibility of bringing GPS repeater systems to market in the UK. Well, the truth is that my investigations were somewhat half-hearted since I just didn’t “get it”. I could see how the technology worked but I couldn’t fathom what anyone would want a GPS repeater for. So maybe I’m not the sharpest implement in the toolbox after all ….. The timing was perfect though; Ofcom, the UK telecoms regulator, was about to introduce a “light license regime” that legalised the use of GPS repeaters in the UK in the mid-2012 timeframe. Oh, and Roger-GPS, the leading European manufacturer of GNSS (Global Navigation Satellite System) repeater systems worldwide, was looking to appoint a distributor in the UK. Some may say the stars were perfectly aligned that year, because the net result of my enquiries resulted in FalTech Ltd being appointed UK distributor for Roger-GPS systems in March 2012. We learned about the previous experiences of the worldwide Roger-GPS network and soon had an idea of which sectors, industries and businesses would be likely to make good use of a GPS repeater. Shortly afterwards the FalTech website went live we began to form a more focused view of the marketplace in the UK. So who needs a GPS repeater? By May 2013 we had enough experience to enable us to write an article that summarises the various uses of a GPS repeater system. This article has been updated over the years and is probably still the best overview available. The “Blue Light” sector became a major focus for us, as it soon became apparent that the single most important application for a GPS repeater system is in a fire station. If you would like to discuss your indoor coverage situation please do let us know, we’d be happy to help. There is a full description of how a GPS repeater works in a fire station in the applications section of this site. Some customers are happy to install their own repeater systems; quite often their profession is “technical” and relevant skills are in evidence. Some, however, prefer a 3rd party company to provide a full service, including site survey, system design, installation and maintenance. For this reason FalTech partnered with a professional installation company from the outset – a relationship that has worked very well for some six years now. Rig-It.Com Ltd is based near Northampton – ideally placed in the centre of mainland UK. 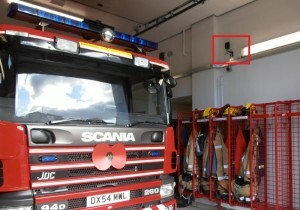 Some 350 of the 1,000 systems sold by FalTech since 2012 have been installed in fire stations – the majority of which were installed by Rig-It.Com Ltd.
Rig-It was already well-known to the Blue Light community as a supplier of antenna systems and communications tower commissioning and decommissioning services. The level of service provided to customers always exceeds expectations and the FalTech partnership with Rig-It.Com has been a great success. Occasionally we have been asked for something different; something that works in a similar way (i.e. bringing outdoor signal inside buildings) but not necessarily GPS related. A good example of this is DAB radio. Digital Audio Broadcast signals are sometimes not available indoors due to the blocking nature of the building structure. This causes difficulties in a number of industries and is quite easily solved with a DAB repeater kit. 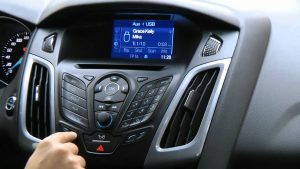 One automotive client requested a system that would provide GPS, DAB and FM radio signals inside their research facility. The hybrid system we created for them allows work to be carried out indoors all year round inside a secure environment. The last six years have been fascinating as we have continued to service our core customer base in blue light sector, along with plenty of others who are involved with aviation maintenance, GPS tracking devices, vehicle manufacturers and military organisations. Some of the organisations we have worked with are listed on the Clients page. If we can help you to overcome the issues caused by being in side a signal-denied space, please do get in touch.